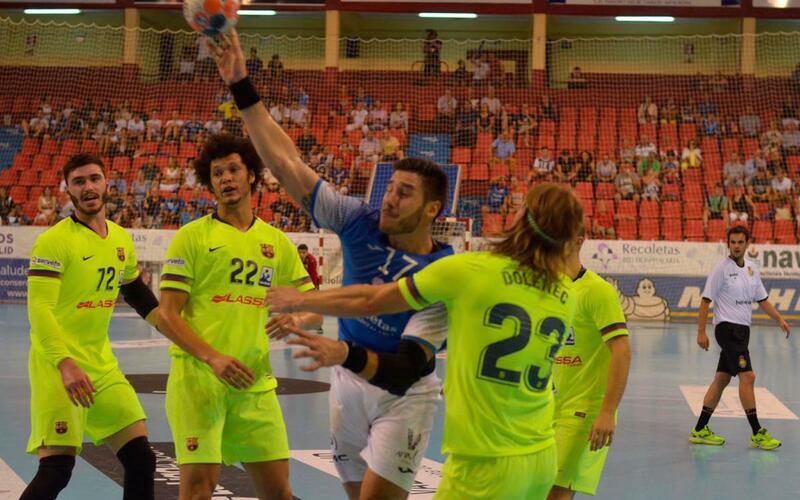 In the third round of the Asobal League, Xavi Pascual’s Barça Lassa side were hugely impressive in overcoming a dogged Atlético Valladolid (24-41). Fabregas (seven goals), and Ariño (six goals) were the top scorers on a night when the visitors were as good in defence as they were in attack. The visitors played a high-energy game throughout and were effective when going forward. Pérez de Vargas’ heroics in goal for Barça helped the Blaugrana build a winning position relatively early in the match, and Atlético Valladolid were unable to find the net in the first seven minutes of the game as a result. By half-time, the visitors were already six ahead at a traditionally difficult venue (13-19). Far from settling down, Barça Lassa continued to take the game to their hosts, and their non-stop attack from all areas saw Fabregas and Ariño take advantage. Try as they might, Atlético Valladolid had no answers to Barça’s superiority. Now the VELUX EHF Champions League comes into view and on Saturday, September 22 (6.00pm CEST), Hungarian side Veszprém come to the Palau.